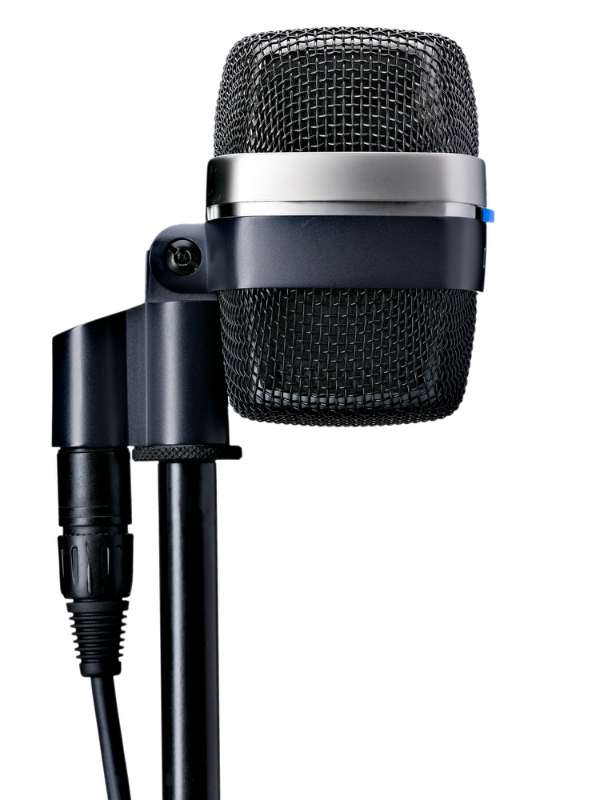 The legendary AKG D112 has been a staple on stage and in the top studios in the world for many many years. 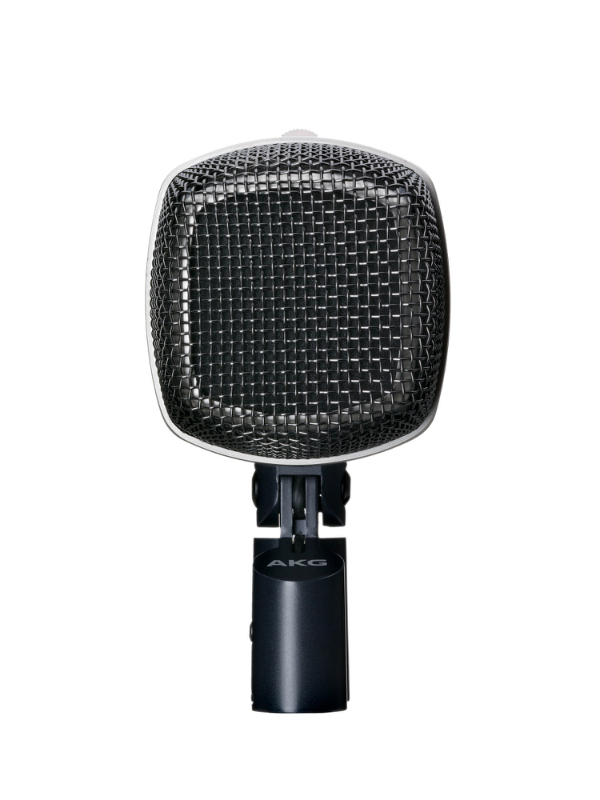 Announced at PLASA 2012, AKG is updating its classic design with the new D12 VR. 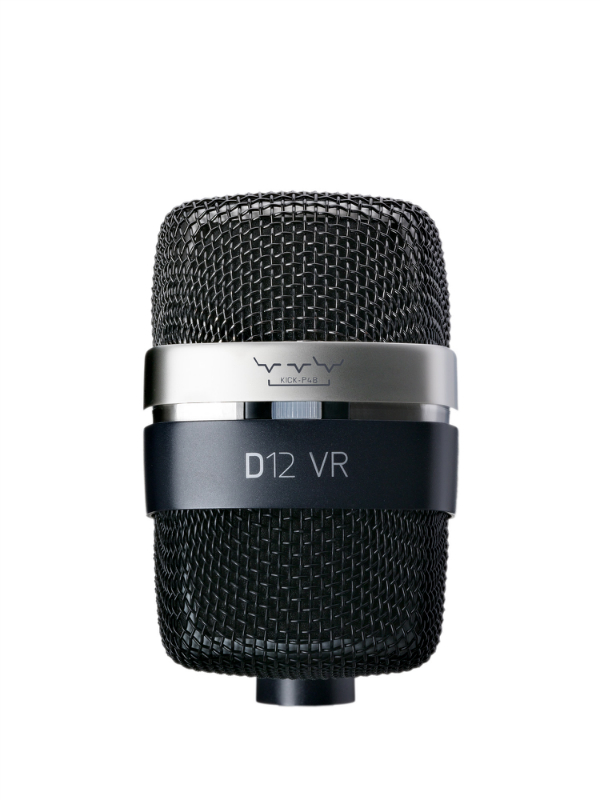 When used without phantom 48V power, the D12 VR has that classic sound that has made the D112 so famous over the years. This sound is true to the original source and sounds best on loud instruments and even for vocals! When you engage phantom power for the D12 VR, this is where the new active circuitry kicks in and the magic of the new design is apparent. There is a 3-position switch on the top of the microphone that provides 3 different EQ filters. This allows you to very quickly and easily adapt the tone of the microphone to get the desired kick drum sound you're after. With the active filters engaged, it also acts as a -10dB pad on the signal to compensate for any boosts in the EQ from the filters. The far left switch position indicated by a green LED light is a mid-range cut with a low-end boost to give the kick more power. This is best suited for open kick drums. The middle position of the switch indicated by the red LED light is just a mid-range cut. Great for getting a "vintage" sound. The far right position indicated by the blue LED is a combination of a low-end boost for more power, a mid-range cut to get rid of some mud, and a high frequency boost to enhance the attack and presence of the kick. This is the best for choice for a modern, closed kick drum sound.